After curating "Frida Kahlo and Arte Popular" at the Museum of Fine Arts, Layla Bermeo said the Spanish-speaking food workers stopped her at a museum cafe. Usually, the women and her chatted about their families, the food, the weather, but for the first time, they wanted to talk about Bermeo's work. The workers had seen coverage of the Kahlo exhibition in a Spanish newspaper and had recognized Bermeo's name. They asked if she put the show together. "Frida Kahlo and Arte Popular" marks a seminal moment in Bermeo's career. It's the first show for which she served as lead curator. 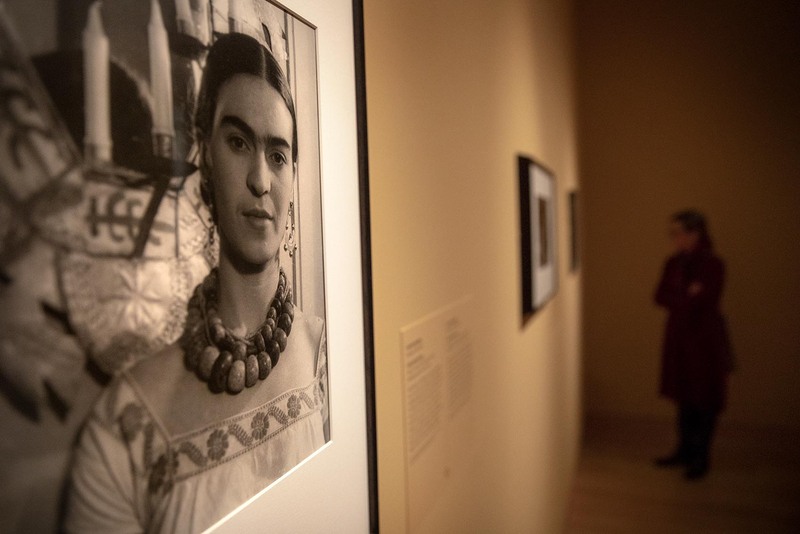 She worked on the exhibition for months, thinking deeply about how to present Kahlo, arguably the most famous visual artist of the Americas, in a rigorous new light — one that focused on her artistic evolution rather than her notorious biography. She'd led a complex coordination with private collectors, public institutions and scholars. She'd secured the lending of some of Kahlo's most iconic paintings — rare and coveted treasures (there are 13 in public U.S. collections). She'd conceptualized a meticulous exhibition that illustrated the cultural lineage between Kahlo and Mexican folk art, rooted in scholarship and an overlooked part of the art historical canon. But when you hear her talk about it all, it sounds like a breeze. It's only when Bermeo remembers what happened that day at the museum cafe that she cracks. Her voice breaks. "Some of them have told me that they have worked at the MFA for years and never seen [a gallery], and that hurts me because it shouldn't be that way," she told me, surprising even herself by the stream of tears running so freely down her face. "But if I can do something to break down those barriers. I would do one every year, if it meant making people feel like that museum is theirs." 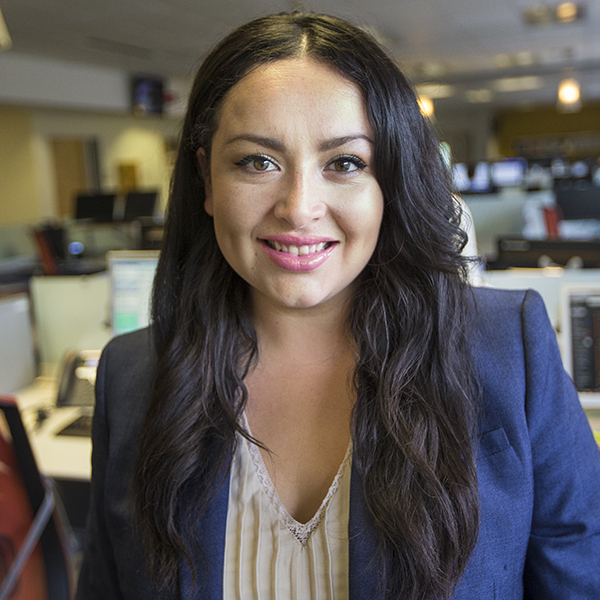 Bermeo, whose father is Colombian and mother is Mexican-American, is one of very few curators of color in cultural institutions nationwide. 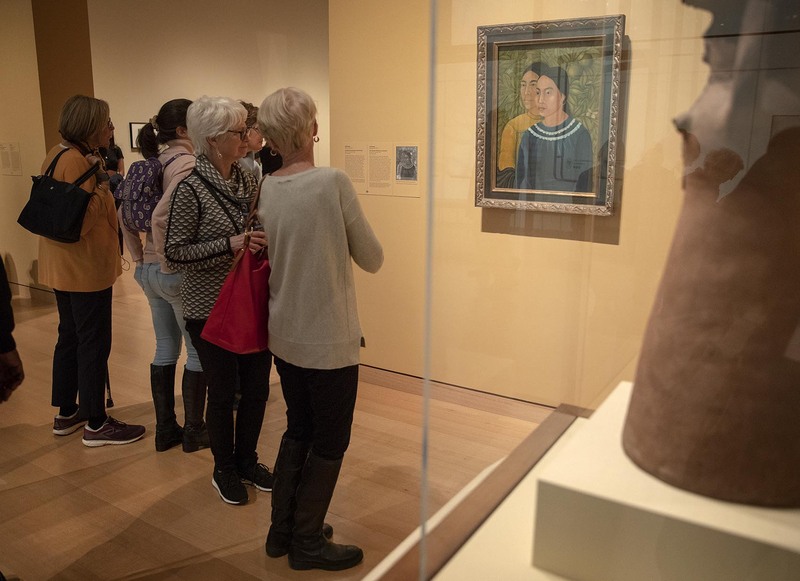 According to a 2018 national study by the Andrew W. Mellon Foundation, only 5 percent of museum curators and educators are Latino. At the MFA, about one-fifth of the 700-plus member staff self-identifies as non-white, according to its 2017 strategic plan. Like other museums across the country, the MFA is trying to diversify its staff and its audience. 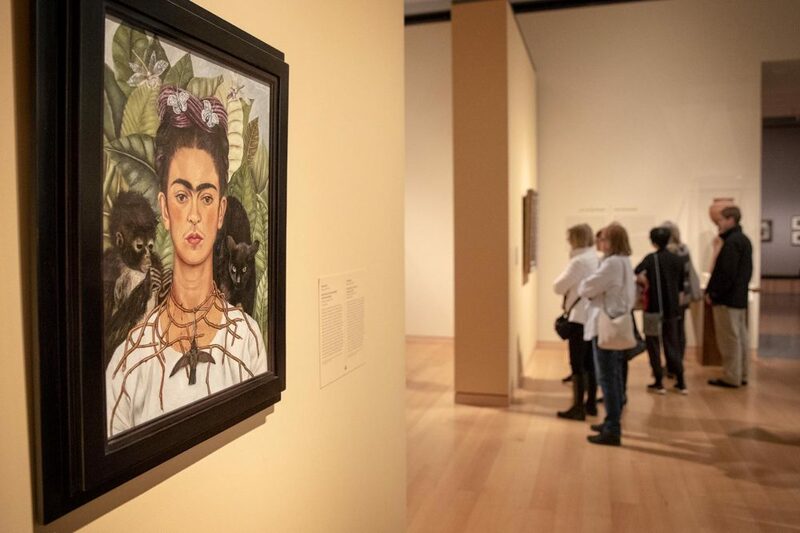 Exhibitions like Bermeo's "Frida Kahlo and Arte Popular," which is presented with both English and Spanish signage, capture the attention of people who perhaps haven't traditionally felt like the MFA's art was curated for them. 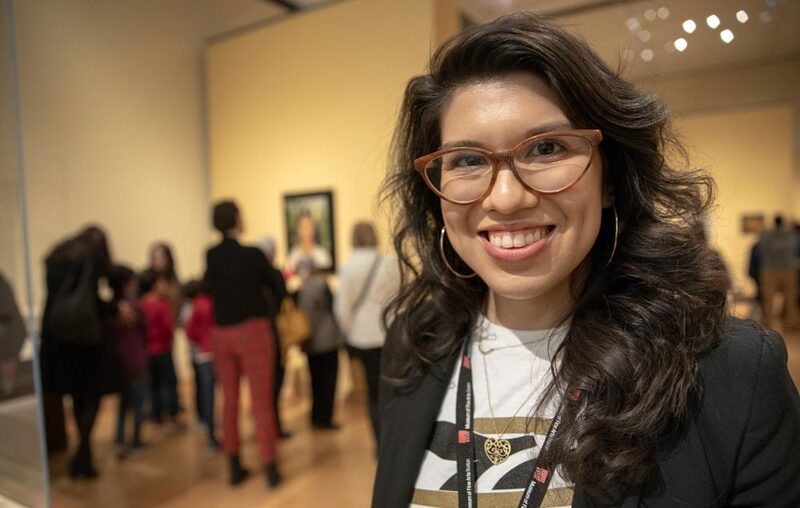 "To even have a kind of invitation to them, to insist on a Spanglish title and to have bilingual text has made a lot of difference within people's personal experiences [of coming to the museum]," she said. Erica Hirshler, the MFA's Croll Senior Curator of American Paintings, said Bermeo's perspective has been "an enormous gift to the MFA." 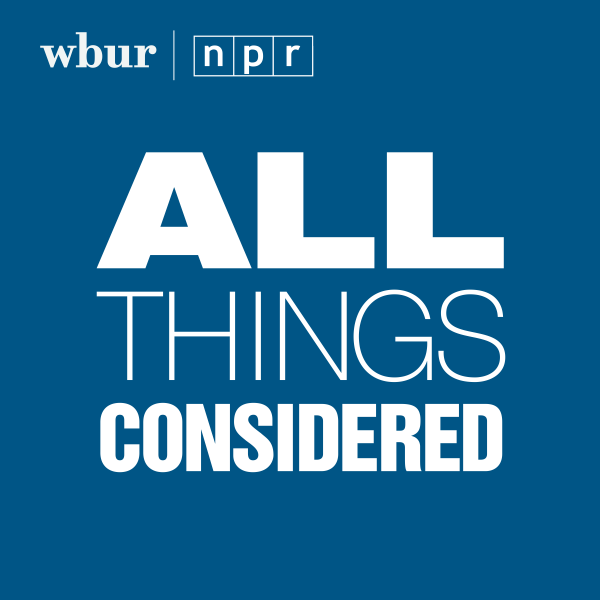 "I think it's critical to have different voices. Art of the past needs to come alive for contemporary audiences." In an age when museums covet exhibitions that feel relevant and connected to a wider culture, young, diverse curators who may be tapped to the zeitgeist in authentic, resonant ways could lead the charge in attracting new audiences. Yet, the few curators of color who work in the museum field often operate in contemporary museums, not encyclopedic institutions like the MFA. Bermeo bucks that trend. She's specifically interested in historical art, made before 1955. She seeks to reframe the canon and highlight overlooked artists or narratives, as she's done in "Frida Kahlo and Arte Popular." "Our visitors are excited to see this kind of shift of narrative in a space that perhaps had mostly been occupied by white modernists," she told me as we sat in the exhibition's gallery. When Bermeo thinks back on the food workers who had never been to a gallery before her exhibition, she recognizes there could be varying reasons for that: lack of time, long commutes home that leave no room for lingering at work. But also, the food workers may have never felt the galleries were there for them. "There's also an issue of inclusion there. At this point, I don't think that they have felt as invited to share in this part of the museum as they could." For Bermeo, making the MFA inviting to all people is a personal mission.